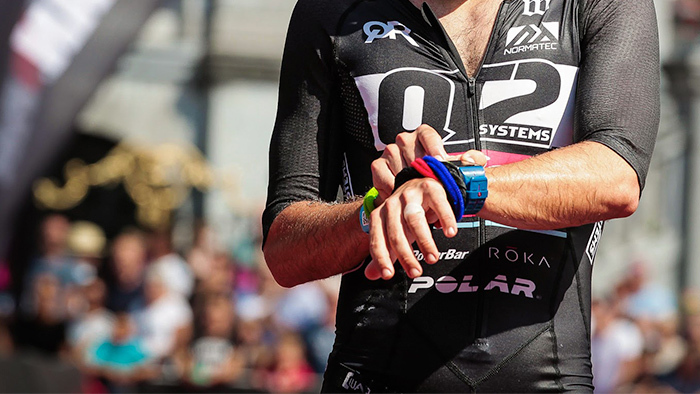 In part five of our continuing series on race-day mental skills, we discuss how to manage your desire for outside approval, a common pre-race worry that can hamper your performance and cause you much wasted stress in the lead-up to a big race. When you race, do you worry too much about what others think about your performance or results? Do you want approval from others, such as teammates, coaches, or friends? Does it help your racing when you want to be admired, accepted, respected, or liked by other athletes, coaches, or teammates? Part of wanting approval is just human nature, but it can become unhealthy when you become distracted or feel pressure during racing. Worrying too much about what others think not only distracts you from performing in the moment, but it also can cause you to worry about what others think. All of this leads to a phenomenon called false “mind reading.” Mind reading is when you make unrealistic assumptions about what others might think about you. For example, “Does my coach think I’m good enough to win a race?” “Will my friends be happy with my performance today if I lose?” The key to managing your tendency to make these assumptions is to understand how much of this is reality and how much of your mind reading is unfounded and irrational. Social approval comes in many forms. Some athletes want to please others. Some athletes fear disappointing people. The effect on you is still the same when you perform well or poorly. Do you agree with any of the statements below? Do you identify with any of the statements above? And if you do, do you become distracted before or during racing because of them? How might wanting social approval make you feel more expectations to perform well? Many athletes will “mind read” into what others think about their performance, especially when others are watching or it’s an important event. To perform your best, you want to focus on performance cues that help you execute instead of worrying about (or making assumptions about) what others think. This is easier said than done. Let’s start by examining when you begin to mind read. When are you most likely to mind read: before or during competition? For example, you might start to wonder how your family members and friends are assessing your performance when they come to watch you. Or, maybe you assume your coach is unhappy with you after you didn’t perform to his expectation. The first step to overcome social approval is to recognize when you are mind reading and refocus on your race plan or output. If you start to think about the outcome of the race and how others might react, tell yourself that’s not important, race the current section of the course. Bring your focus back to racing one section at a time, staying in the here-and-now of the race. Be in the moment. Most athletes seek out approval from others because they don’t have self-respect. When you think others respect you or are impressed with your racing results, you might feel better about yourself in that moment. You want to stop searching for respect or admiration from others, such as parents, coaches or friends. Self-respect is accepting and liking who you are as a person. When you have self-respect, you’re less likely to have the need to seek it out from others. How do you have self-respect? The answer is not easy, but you want to start with unconditional respect for yourself as a person —no matter how successful you are as an athlete. Unconditional respect means you have self-worth no matter how well you perform on any given day. Translated, it means you are one at peace with yourself and you are doing the best that you can given your context.